The past week, I’ve had a lot of fun working at the Carson Beach site for a few days. 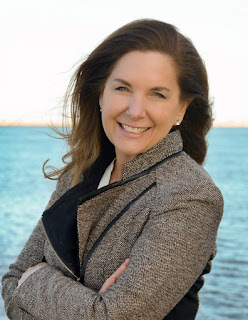 Before I started working for Save the Harbor, I had only been to Carson Beach once. I went with a friend, and we spent the day reading and relaxing on the beach. Now, as a harbor educator, I get to help campers explore all that the beach has to offer. At orientation, I had the chance to go stand-up paddle boarding and kayaking in the ocean. 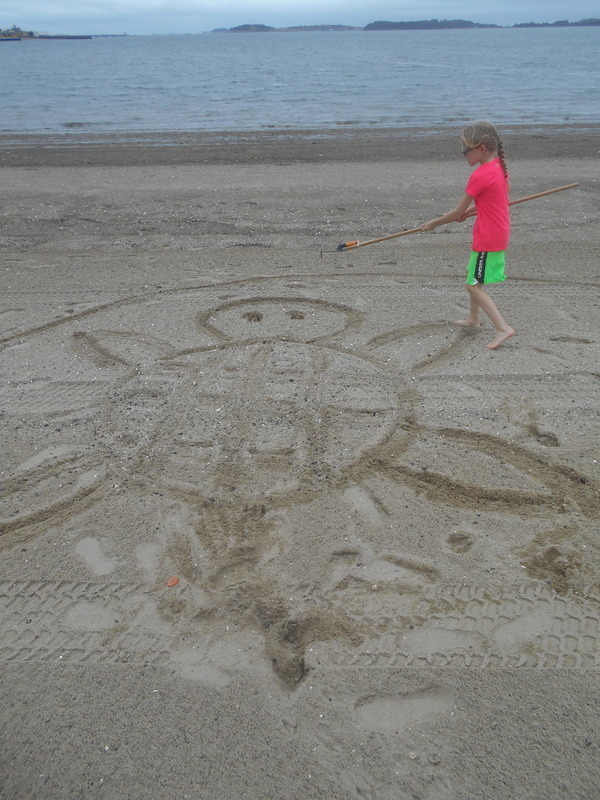 I also learned how to do sand-raking and fish-printing at the beach. The first day I worked at Carson, it was very cold and windy, so we didn’t have too many groups come out. However, we got to play some games with one group of kids. My favorite part was getting to do sand-raking with a few of the campers. 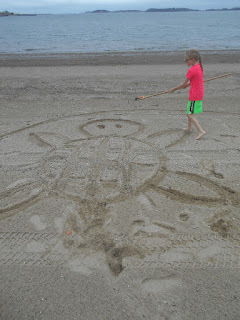 I made a turtle in the sand and then let the kids destroy it. The following week, the weather was a lot warmer, and we got to play near the water with some campers. We played soccer and Frisbee, built awesome sandcastles, and searched for hermit crabs and periwinkles at low tide. All of the campers seemed to enjoy spending the day at the beach, and I saw the same group the following day at the Children’s Museum! I also got to go kayaking again at the beach, which allowed me to get a great view of downtown Boston and a few of the Harbor Islands. 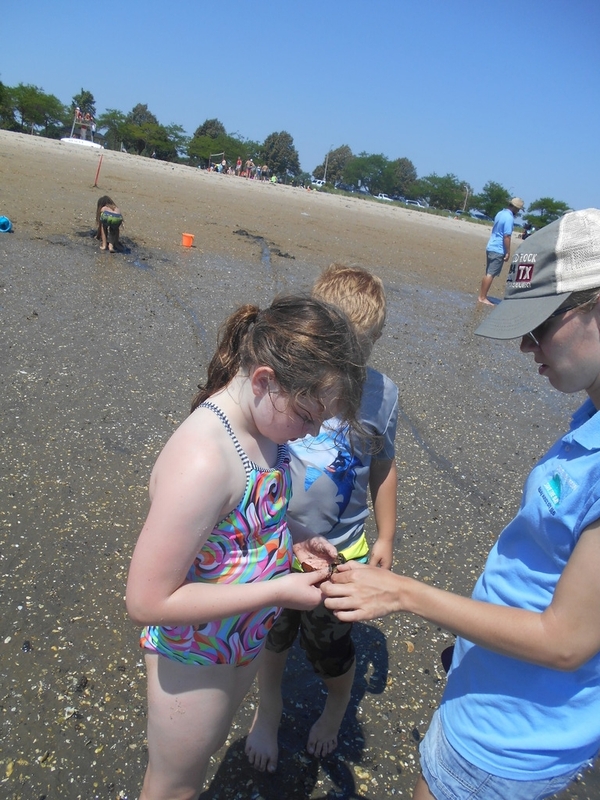 Overall, I’ve enjoyed working at Carson Beach, and I’m hoping that next time I’m there I'll have a chance to go paddle boarding and catch a few more hermit crabs!